Perfect for delivering Full HD 3D video from an HD entertainment device to a Full HD 3D TV. 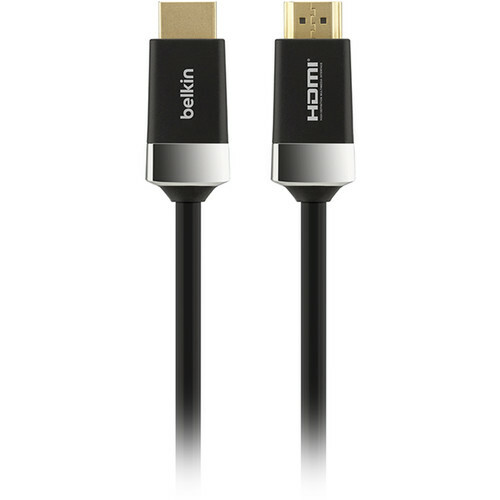 The Belkin HDTV high-speed HDMI cable with Ethernet surpasses industry standards to deliver exceptional picture and sound. This premium HDMI cable also works with 4K/Ultra HDTVs. The HDTV high-speed HDMI cable with Ethernet supports Full HD (1080p) as well as Ultra HD (4K) displays. Box Dimensions (LxWxH) 8.5 x 4.4 x 2.1"